Looking for RVs in Denver? 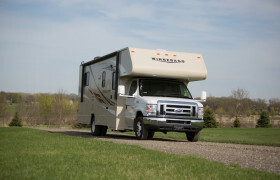 We review 19 local rv hire agencies. Below you will find the most up-to-date list of RV rental companies based in Denver, Colorado. If you don't know a brand or location you want to rent from, then scroll down to the map at the bottom and choose that way. Denver is the '4th outpost' of what is considered the 'Golden Triangle' of RV rental in the US. The main triangle is Los Angeles, Las Vegas, and San Francisco, but Denver is a city of choice of those who want to see more than just a desert landscape whilst staying near the west coast. As the capital of Colorado, Denver boasts of fascinating historical structures and breathtaking landscapes, making it an ideal location for road trips. Situated a full mile above sea level, Denver Colorado is a fabulous city if you’re planning a motorhome vacation in the Western United States. Denver is a hotbed of excursions and outdoor activity perfectly suited for a family on an RV tour. 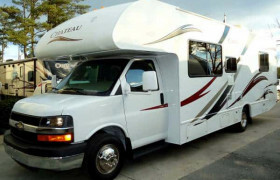 There are a large amount of motorhome rental agencies in the city itself and several park and encampments for you to stay at in your motorhome. The ease of motorhome travel in Denver makes it a perfect stop for any RV vacation. 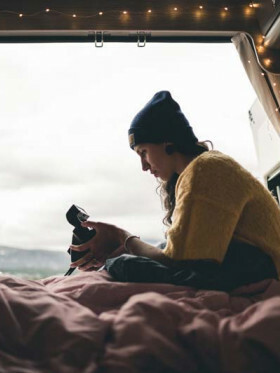 A quick trip to the Internet will have you able to book in advance, see pictures of different motorhome options, and get fully equipped before you even step foot in the city itself. Home to a number of scenic attractions, the best season to go RVing in Denver is when the foliage is changing and the temperature is still mild. 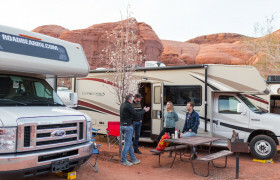 Come fall season, particularly September and October, the city becomes a coveted RV destination among vacationers wanting to experience a hint of summer while welcoming fall. These months are also the perfect time for RVers/ foodies because of the abundant food markets and outdoor festivals. Another best time to visit the city is during April and May, where the snow starts to melt and the attractions come into play. Aside from offering all the views you need―rivers, cliffs, lakes, ridges, and trails, waiting to be explored―don't dare miss some of Denver's most popular food. Munch in some potato-wrapped oysters, sugar steak, lobster mac and cheese, and jumbo prawns. Then, cap off the menu with Little Man Ice Cream's salted oreo ice cream or Noah French’s chocolate ball. Denver is situated in the Rocky Mountains. This means there are some great driving routes to get to several fantastic winter sport mountains, all within a short drive of the city. 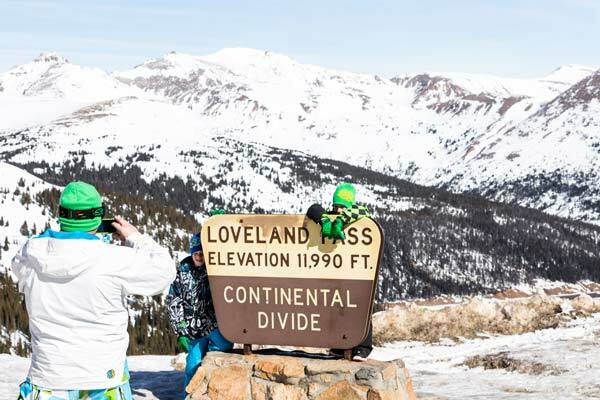 Just two hours west of Denver is Vail, the largest ski mountain in North America, open year-round. Winter or summer, you’ll have no problem finding several motorhome parks to stay as long as you like. During the winter you’ll need to book in advance as many of these locations fill up fast. Once settled, you can rent ski or snowboard equipment in the winter or go hiking and exploring in the summer. The town of Vail is equally lovely. You can spend the day visiting shops and restaurants if you want to take a break from the mountains. Three and half hours south of Denver is Aspen. This ski town is high-end and home to many famous chefs, designers, and more. During the winter the skiing is every bit as good as Vail and in the summertime there are fantastic activities such as mountain biking, rock climbing, hiking, kayaking, and zip lines. Even though Aspen is considered a glamorous destination there is no shortage of RV parks. If you hired your motor home in Denver you can easily coordinate taking it out to Aspen before you hit the road. Denver is located almost in the exact center of Colorado and in the foothills of the Rocky Mountains. 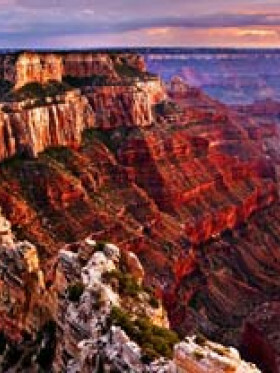 To the west of Denver are several national parks, all of them easily accessible from the city and perfect for anyone looking to enjoy an RV vacation in Colorado. The Florissant Fossil Beds National Monument, Bent’s Old Fort, Curencanti, Crested Butte, Great Sand Dunes Preserve, and the Colorado National Monument are all within a 2 – 6 hour drive from the city. 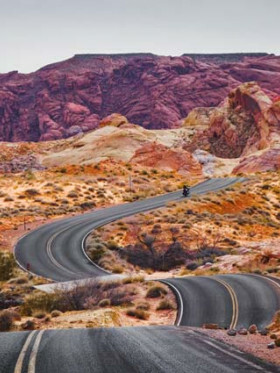 The roads wind beautifully through the mountains giving RV riders as much to see along the way as there is when you get to your destination. If you hired your RV in Denver and hit the mountains but have to come back to the city, don’t fret. There’s plenty to do. The Denver Art Museum and Zoo are great day trips for the whole family. Denver is also a musical city with lots of bars and clubs to explore if you’re looking for a bit of nightlife. Anyway you cut it Denver is a great city for a motorhome vacation whether you are starting out in the city itself or arriving from another destination. You’ll find no shortage of amenities and activities to make your RV trip even more enjoyable than expected. All Stars RV is an all-in-one RV dealership that offers rental, service, finance and more to the Colorado state. 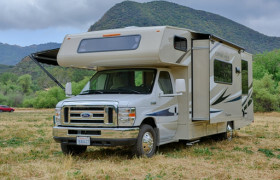 However, the rental department is largely associated with the El Monte RV fleet. Apollo RV Rentals (USA) is part of the world wide Apollo group founded in 1985 in Australia. Apollo has grown to become one of the largest leisure vehicle operators in the world, with 7 branches across the USA. 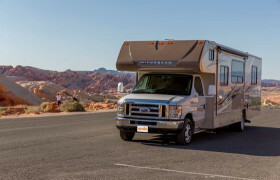 Unlike most large corporate rental dealerships in the area, Around The Park RV is striking in terms of customer service and vehicle maintenance. 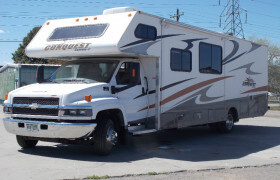 Offering an extensive fleet of mid-ranged motorhomes in their rental headquarters in Denver, the company also has a branch in Jackson Hole and even delivers your unit anywhere. Claimed as the largest single location rental dealer in US, B&B RV Inc. highlights few things that make them different― newer fleet, upgraded units, and old-fashioned customer service. Britz (USA) is relatively new to the USA RV market and currently offer a single 4 berth motorhome type. They have 7 locations around the USA and share a depot with their sister company, Road Bear RV. 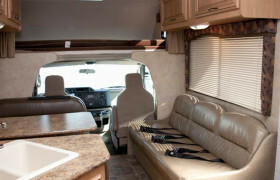 Campervan North America focuses on small, late models campervans that are fuel efficient and priced at mid-ranged. This environmentally responsible rental has four branches across the USA. One of the pioneer rental dealers in Colorado, Colorado’s Ride The West RV Rentals highlights its extensive years in the rental business. 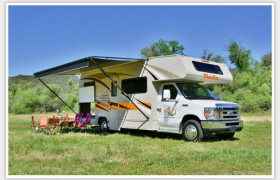 Compass Campers is a re-marketing of El Monte RV. They offer a variety of sizes in 27 locations across the USA. 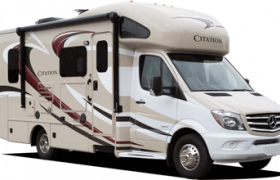 With 122 rental locations, Cruise America RV is your go-to place for Class C motorhomes. They are criticized in some online reviews but generally they offer a solid package. 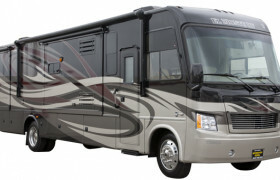 El Monte RV has grown to become one of the largest motorhome rental companies in the USA. They offer a variety of sizes in 31 locations across the USA. Escape Campervans is an award-winning campervan rental company with multiple branches across the USA and Canada. 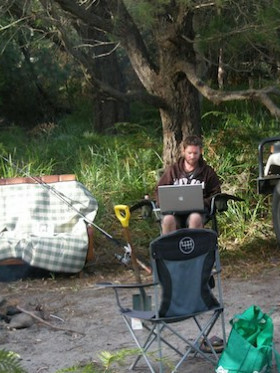 They provide reliable and economical campervan to funky travellers. Kúkú Campers is completely one for the books if you've got a thing for crazy adventures. 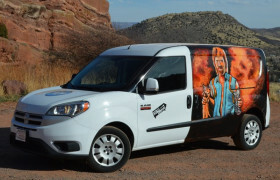 With a rental range of 'arty farty' vans, start a road trip differently even with a limited budget. 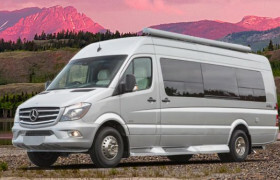 Beaming with 28 U.S. branches, Mercedes Sprinter RV Rentals offers short and long-term rentals from their fleet of luxury, solar campervans. 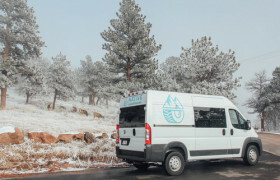 Native Campervans is a local campervan rental company based in Denver. 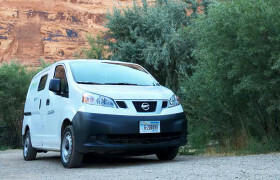 Their fleet is composed of compact, customized vans good for the lightweight traveller. Overland Discovery takes you to some ruggedly, beautiful destinations through their range of deluxe 4x4 vehicles meant for an all-terrain adventure. This Denver-based rental is run by a 3-man team, hence more hands-on and personalized rental for you! Our Editor's review of Road Bear RV US will tell you everything you need to know before renting an RV from them. Review, compare prices and book all in one place. 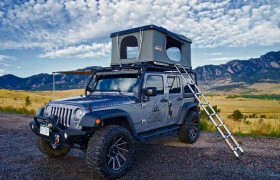 As long time Volkswagen enthusiasts, the owners of Rocky Mountain Campervans offers fully-equipped campervans that include camping necessities and even lots of extras for free. Star Drive RV shares a fleet of vehicles with Road Bear. They have a variety of Class C vehicles and have pickup points at 7 locations across the USA. 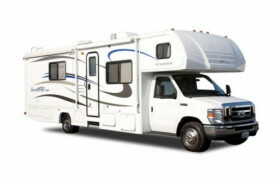 Star RV offers a premium motorhome rental that generally comes with a higher price. They custom design their fleet and guarantee that each of their vehicles is less than one year old. They have several locations across the USA and even in New Zealand and Australia.